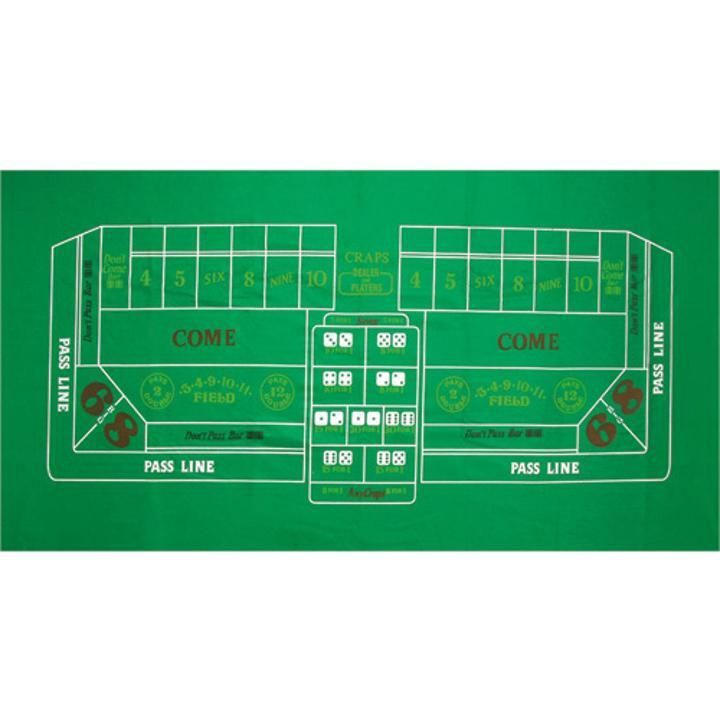 Perfect addition�to any casino themed event! Feeling lucky? Place your bet and roll the dice. This craps lay down cloth is a great addition to your party supplies for any casino themed event. L: 12.4 in. W: 2.4 in. H: 9.5 in.